but I’ve got you & that’s all I need to know. I don’t know what’s the soul of a man. I’ve got you, you’ve got me. Don’t care for luck or destiny. & that’s all I need to understand. Since I was a kid, music rocked my mind. I let my tapes play & rewind. but I saw the light when Muddy sang the blues. It got my soul jivin’, soul jivin’. only three chords to play its game. Then I’m sure your blues will go away. I’ve got it 24/7 under my skin. to all the ones left in obscurity. 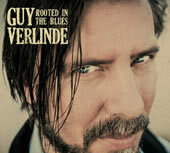 A Belgian bluesman since 1991. Drivin’, drivin’, drivin’ home to you. Bein’ alone makes me blue. I’m drivin’ home to you. My life has been a winding road. Now a home stretch from the line. as you came to my rescue. My world has been a lost highway. & how she makes me feel so good. as she always lifts my mood. all my pieces fall into place. & how she takes me as I am. I’m part of her bigger plan. but always just out of my reach. to ease my aching heart? & how she believes in me. & how her love comes naturally. she makes all my clouds disappear. oh darling, could it be you? I know you’re an angel from above. you ease my aching heart. gonna have a real good time. I’m gonna have a real good time. where the blues is still alive. we’re gonna jump & jive. We’re gonna jump & jive all your blues away. Let the good times roll when we start to play. get on up, just go outside. A change might come for you tonight. Jump & jive all your blues away. hate the darkness in your mind. Lighten up, just go outside. & this winter will stay for a long, long time. now I’ve got to leave you behind. our love doesn’t get us trough. than bein’ unhappy with you. there’s only ashes for us left everyday. so it’s better we go, we go our own way. we can’t make it work for us two. & this darkness is killin’ us slowly. so it’s time, time to set each other free. but it’s the only right thing to do. from the present to the past. as if I’m caught in an hourglass. it will bury me tonight. of those fucked up nights. while I slightly go insane. It’s those winter blues that trigger me. & still I’ll feel like a loaded gun. Bang bang bang, there goes another one. in circles day by day. like bad acid leadin’ my way. it keeps me in the shade. it’ll scar me night & day. how to make this feeling go away. & still I’ll feel, still I’ll feel like a loaded gun. & baby, it’s all yours tonight. you always know how to keep me satisfied. since you let me inside. something I’ve never found before. & I always wanna have another bite. & it’s all yours every night. every single day that I'm alive. as I am goin’ down on you. as I move inside you too. every time you come, my dear. & it’s all yours tonight. There’s no need to hurry life. it defines what you should be. All is shown in good time. & things that won’t last. but more roads to success. to who you are today. from where you used to be. Let the present be your friend. you don’t live in the past. Come on, baby, let’s have a party tonight. Let’s go crazy, it’s time to break out. Believe me when I say it feels so damn good. Just move to the beat & surrender to the blues. I’m tellin’ ya, honey, we’re gonna have a party tonight. Down in the city the streets are comin’ alive. Let’s go shakin’ under the pale moonlight. The rhythm of the night will make you lose control. Just get into the groove & it will feed your soul. We’re gonna bop till we drop, we ain’t goin’ home. We just won’t stop, not even at the break of dawn. I spin you like a record, goin’ round & round. Oh come on, suga’ mama, shake’em up & down. Oh let’s have a party tonight.